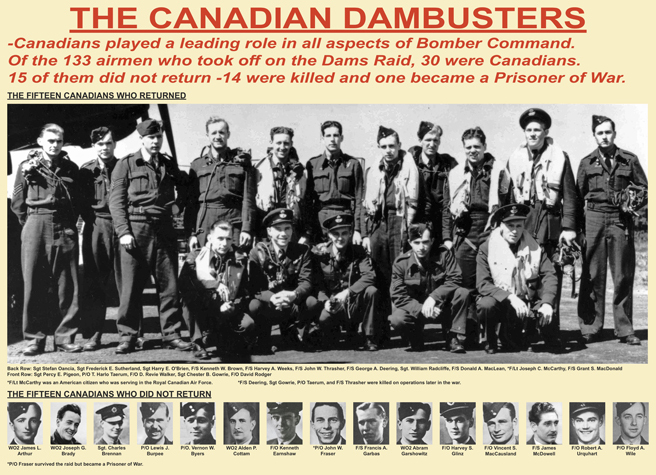 Our Friends in the North, aka the folks at the Bomber Command Museum of Canada, have produced the poster above commemorating the 30 Canadians who took part in the Dams Raid. 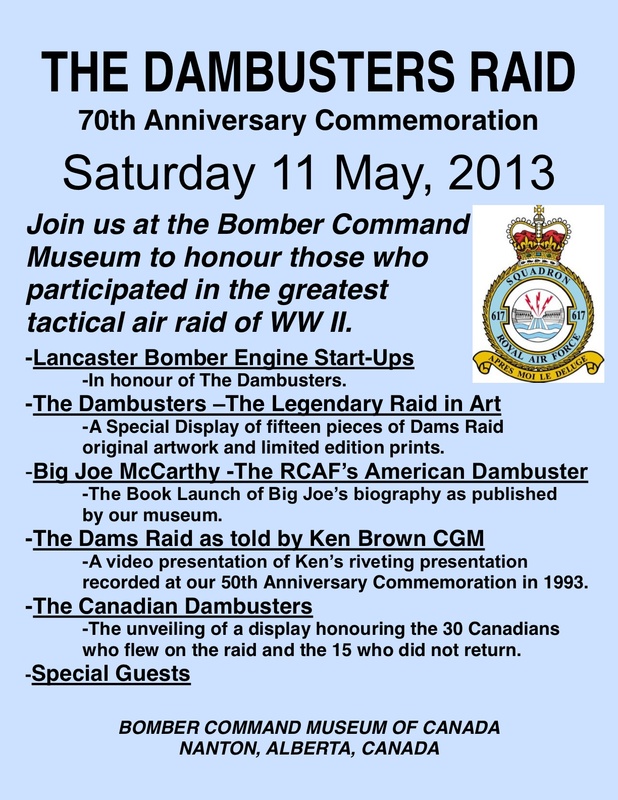 If you are able to get to Nanton, Alberta, on Saturday 11 May you will be able to see a display honouring all 30 plus various other attractions. Most exciting of all may well be the sight of restored Lancaster FM159, which will have all its engines fired up and running in honour of the Dambusters. A sight worth seeing (and hearing)!